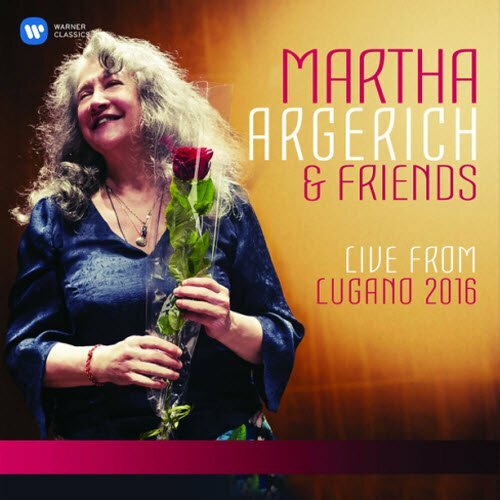 Each autumn for more than a decade, EMI (now Warner Classics) has produced a three-disc compilation of recordings from the previous year’s Progetto Martha Argerich, the annual festival that the great pianist founded in the Swiss city of Lugano in 2002. The mix of solo piano, chamber music and concertos has showcased an equal mix of generations, as Argerich’s long-standing friends and collaborators played alongside up-and-coming musicians whom she supported. There was always something special among the recordings, even if there was not always as much of Argerich herself as her fans might have liked. But that all came to an end last year, when sponsorship of the festival was withdrawn, no replacement could be found and the 2016 festival had to be the last. 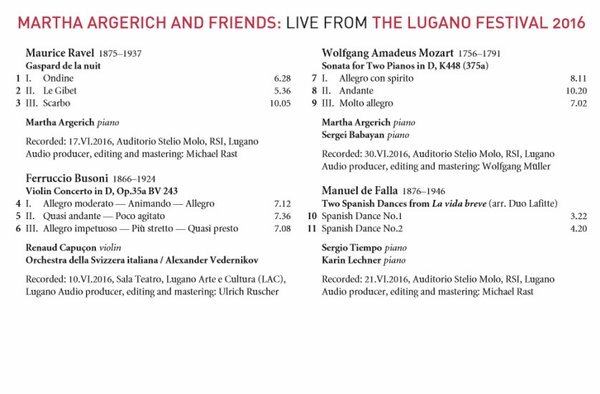 Appropriately for this final compilation, however, Argerich does feature prominently throughout the set. It opens with something that has been a real rarity for more than 30 years: her giving a solo performance of one of the pinnacles of the 20th-century piano repertoire. She recorded Ravel’s Gaspard de la Nuit in the studio in the 1970s, and hearing her play it 40 years later with the same dazzling security and clarity is an extraordinary privilege. There is also yet another performance of Ravel’s G major Concerto, a piece she must have performed and recorded more often than any other, though the orchestral playing on this latest one, from the Orchestra Svizzera Italiana under Alexander Vedernikov, doesn’t quite match her brilliance. Argerich also partners Sergei Babayan in Mozart’s Sonata for Two Pianos K448, and Stephen Kovacevich in a two-piano arrangement of Debussy’s Prélude à l’Après-Midi, as well as accompanying Tedi Papavrami in Bach’s C minor Violin Sonata. But what I think is new to her discography is Beethoven’s Choral Fantasy, in which (with Diego Fasolis conducting) she plays the obbligato piano part with tremendous panache. There are other treats, notably a wonderfully warm account of Brahms’ Horn Trio, played by David Guerrier, Renaud Capuçon and Nicholas Angelich, and a feisty, muscular one of Berg’s Chamber Concerto with Capuçon and Angelich as the soloists. But there is no doubting who the set is really all about. The end of an era: the new triple album of chamber music from the Lugano Festival will be the last. Chamber-music lovers around the world are lamenting a void in this year’s classical calendar. 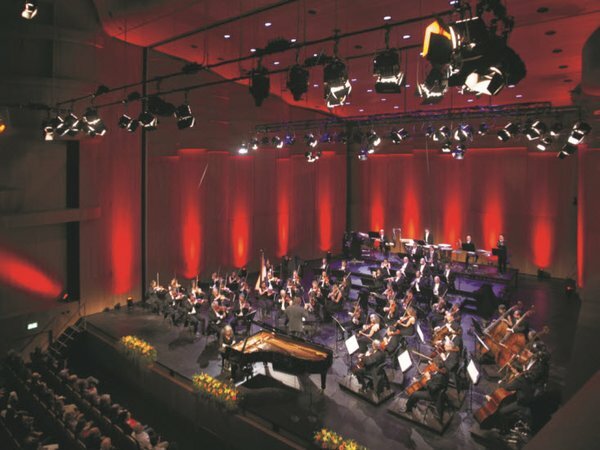 Due to discontinued funding, the Progetto Martha Argerich, with its festival held in Lugano (Switzerland) for the past 15 years, took its final bow with the 2016 edition. This marks the end of an era not only for the illustrious artists and rising stars who performed in this “showcase of superlative musicianship” (The Telegraph) year after year, but for the loyal fans and collectors of the ‘Martha Argerich & Friends’ live recordings. Argerich’s final, historic Lugano festival, held from 7-30 June 2016, was the 15th edition and celebrated the legendary Argentinian pianist’s 75th birthday that month. Her special guests included pianists Stephen Kovacevich and Nicholas Angelich, violinist Renaud Capuçon and Argerich’s daughter Lyda Chen (viola), alongside many of her young protégés, among them the pianist siblings Sergio Tiempo and Karin Lechner. Warner Classics’ triple-album collection of highlights, to be released in September 2017, captures the wide-ranging repertoire, intimate atmosphere and many brilliant performances from the festival’s swansong – perhaps the most remarkable being a rare Argerich solo Ravel’s Gaspard de la nuit – which she has played live only twice in 33 years – alongside the same composer’s Piano Concerto in G Major with the Orchestra della Svizzera italiana. Although the curtain has closed on Martha Argerich & Friends, the recordings will live on, as will the musical friendships forged within. Also coming soon: Martha Argerich's new recording of Saint-Saëns's Carnival of the Animals. In addition to the final Lugano collection, Martha Argerich will appear on a second, highly anticipated album to be released on Warner Classics in September 2017: a landmark new recording of Saint-Saëns’s beloved Carnival of the Animals for two pianos and ensemble, with acclaimed conductor-pianist Sir Antonio Pappano as her enchanting duo partner. These two fine representatives of the pianist species recorded in Rome with hand-picked soloists from Pappano’s Orchestra dell’Accademia Nazionale di Santa Cecilia – another example of Argerich in her element in a chamber music setting to cherish. The entire orchestra assembles under Pappano’s baton for another of Saint-Saëns’ most celebrated works, the magnificent ‘Organ’ Symphony, No 3, with Daniele Rossi as soloist.